We are so excited to share some amazing news with you! The EWTN Religious Catalogue now sells ChurchPOP t-shirts! The ChurchPOP team also wears this official shirt! 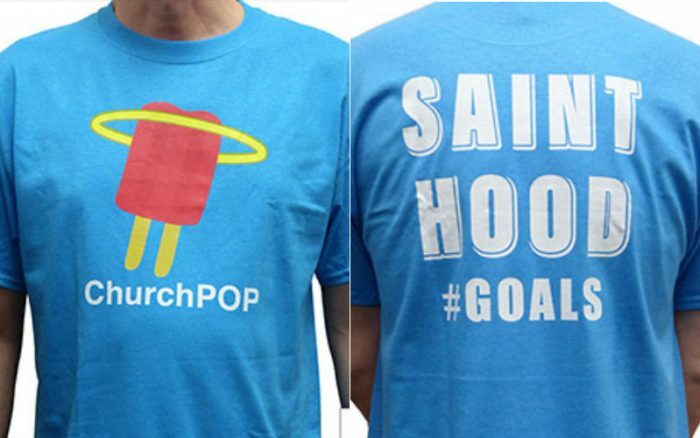 The t-shirt is a solid, sky blue color with the ChurchPOP popsicle logo on the front, “SAINT HOOD #GOALS” in white text on the back, and a white EWTN logo on the left sleeve. 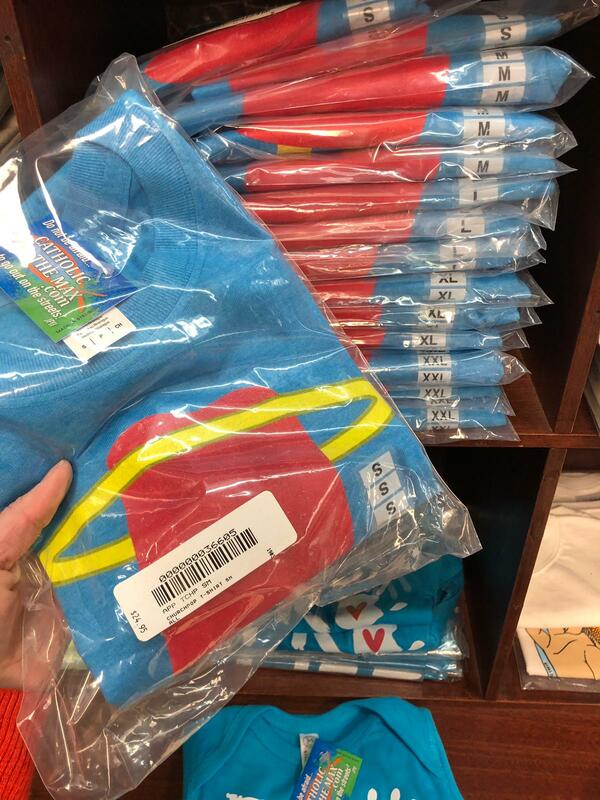 The t-shirt is available in five sizes: small, medium, large, extra large, and double-extra large. The t-shirt is also available at the EWTN Religious Catalog store in Birmingham, Alabama! 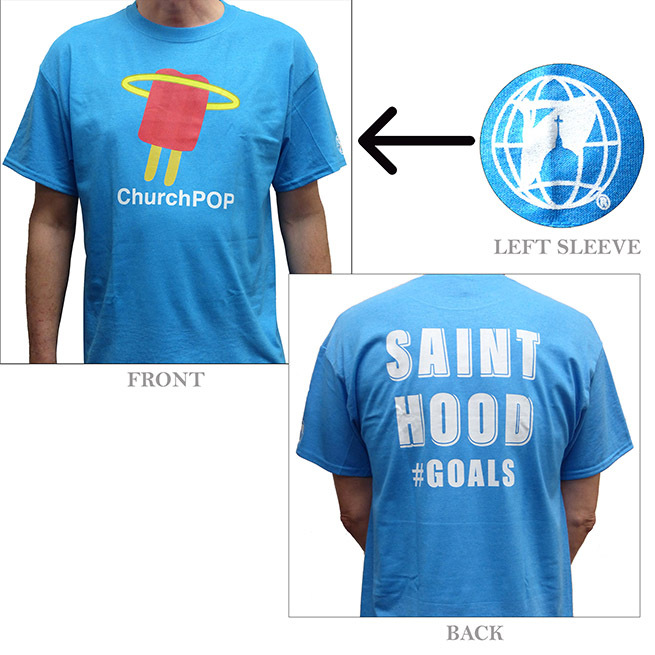 Click Here to Buy Your Official ChurchPOP T-Shirt!